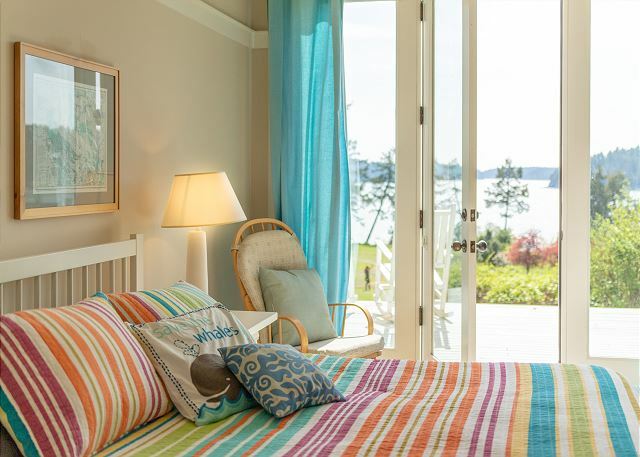 NEW TO PROGRAM - Westcott Bay Breeze. 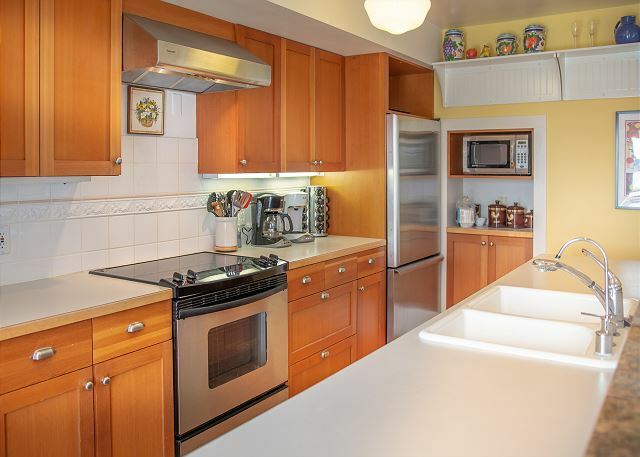 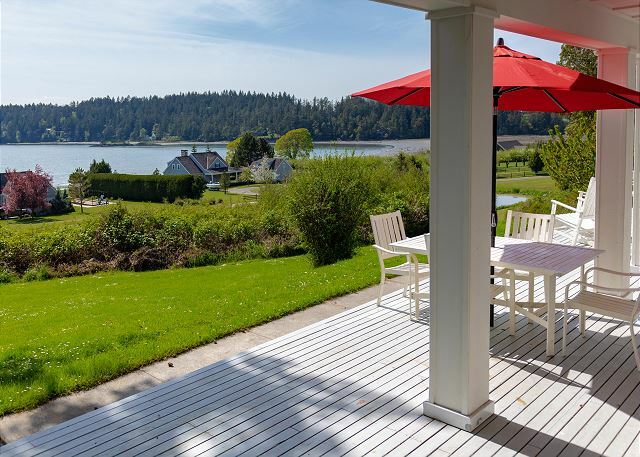 This Nantucket-style three bedroom, three and half bath home overlooks a gentle slope toward Westcott Bay on San Juan Island.This home is In close proximity to Roche Harbor Resort, the Spy Hop Gin Distillery, and Westcott Bay Oyster Farm where you can gather wild raw oysters for the grill. 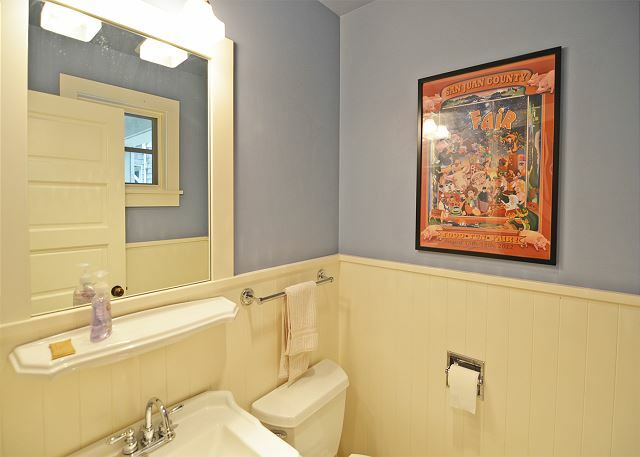 You won't have to travel far to fully enjoy the many nearby attractions. 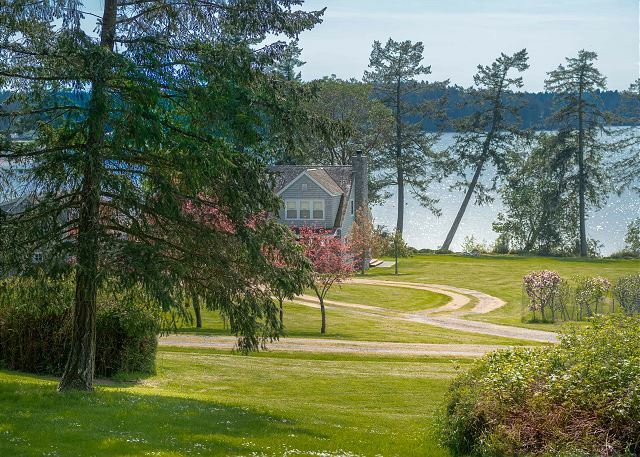 There are hiking trails which include Mount Young, British Camp and mountain bike trails for the active traveler. 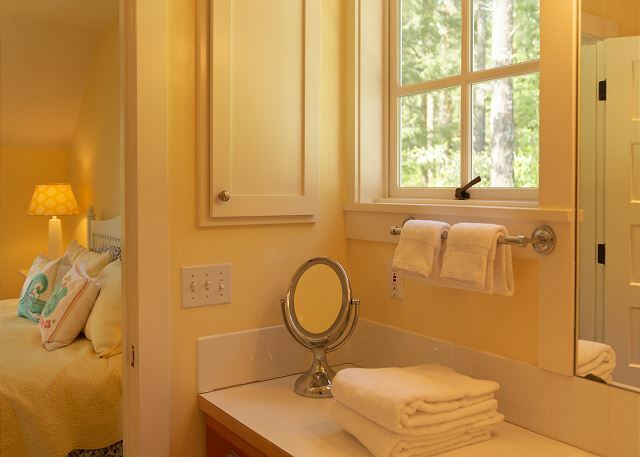 Or, unwind in the hot tub while wildlife such as bald eagles and black tail deer put on a show for you. 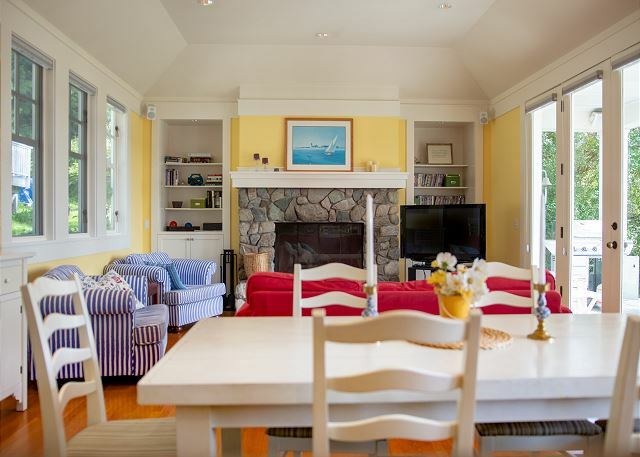 The large combined living and dining room provides wonderful seating and décor for enjoying yourself, all the while viewing the upper reaches of Westcott Bay. 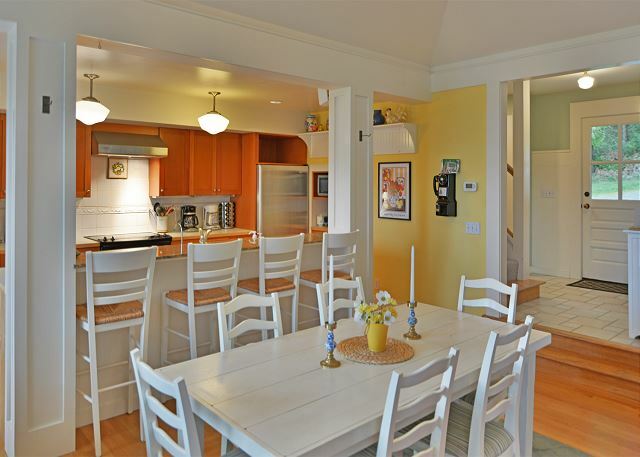 The dining area includes a wonderful bar counter for talking with the chef while dinner is being prepared. 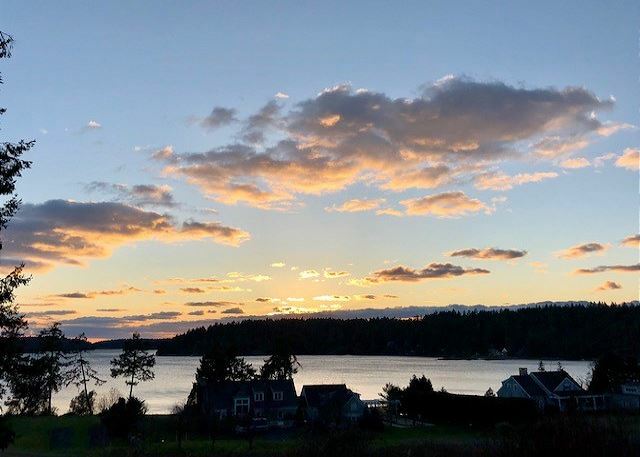 The waterside deck also provides the ideal location to enjoy sunsets each evening as well as to barbeque your evening's meal. 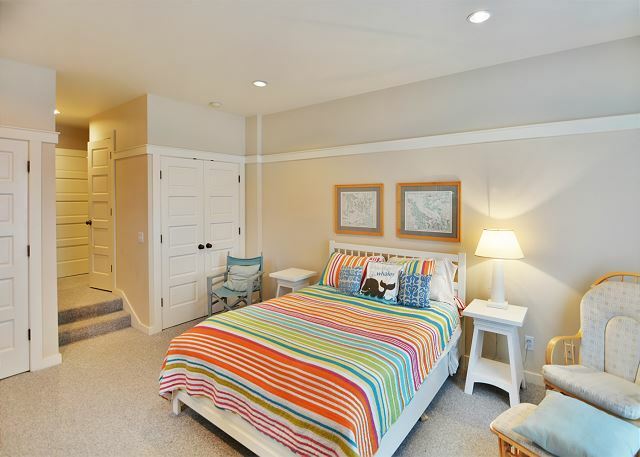 This is a quiet and very restful location for enjoying nature in all its beauty Two master bedrooms each with adjoining full bathrooms, one downstairs (queen) and one upstairs (king), will pamper you as our guest. 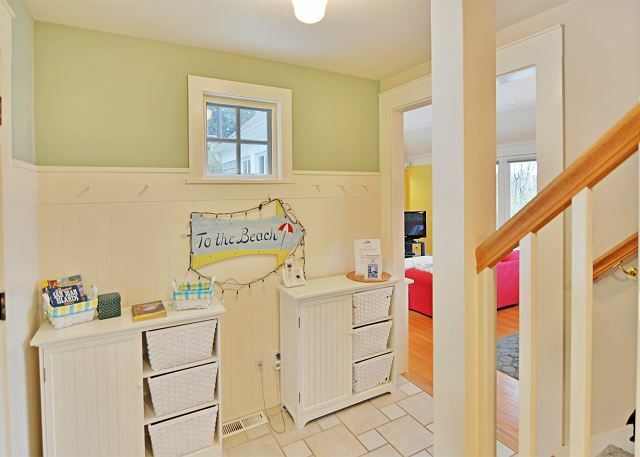 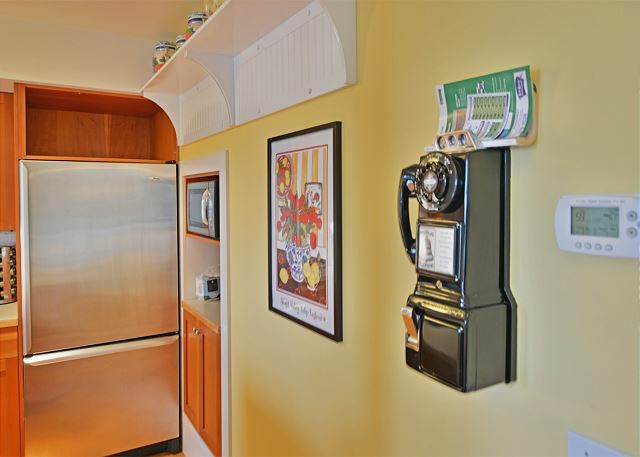 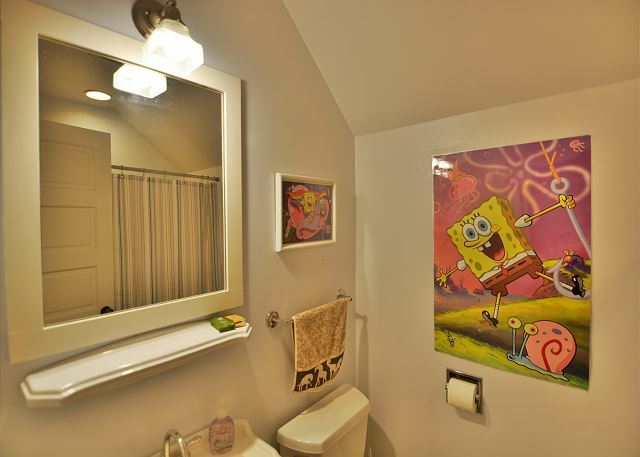 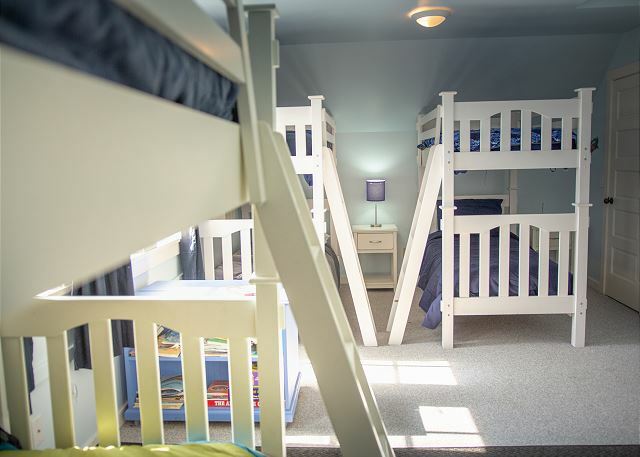 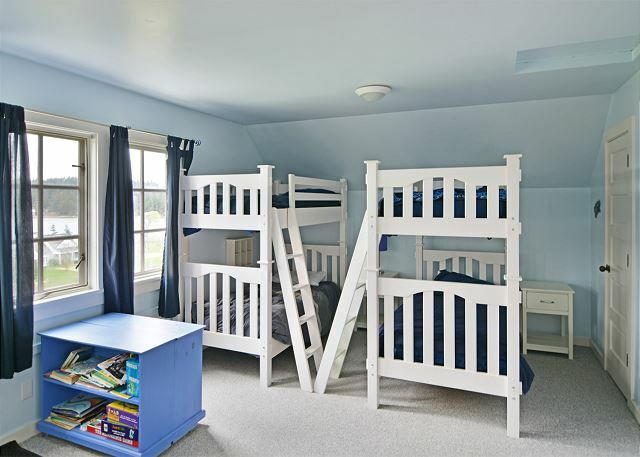 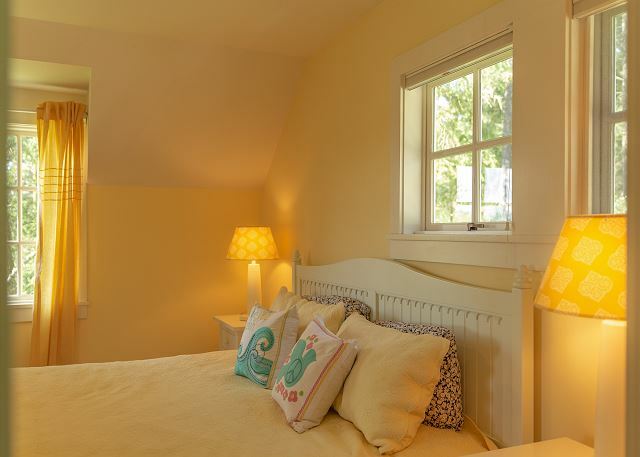 In addition this home features a bunk room for kids or adults that sleeps six in three bunk beds. 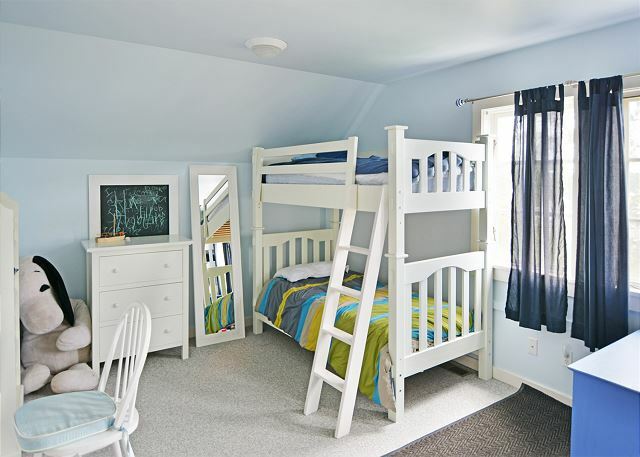 Talk about flexible accommodations. 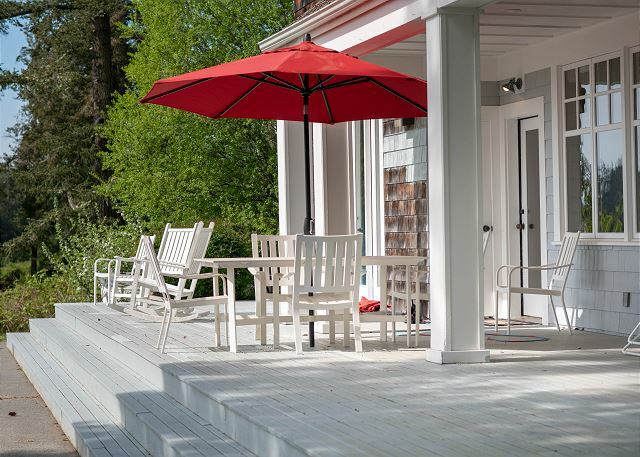 An outdoor fire pit is the perfect place to enjoy an evening overlooking the bay. 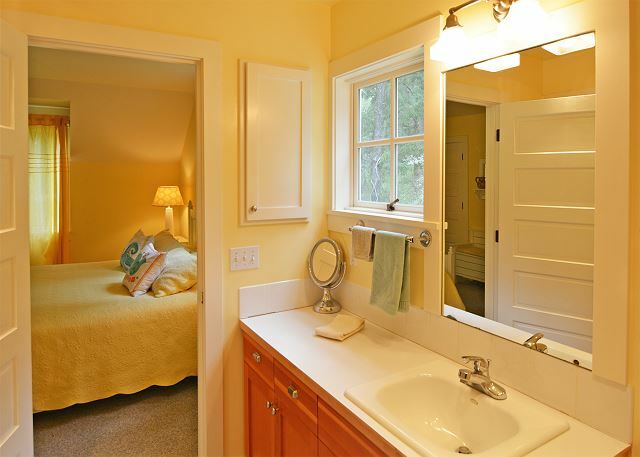 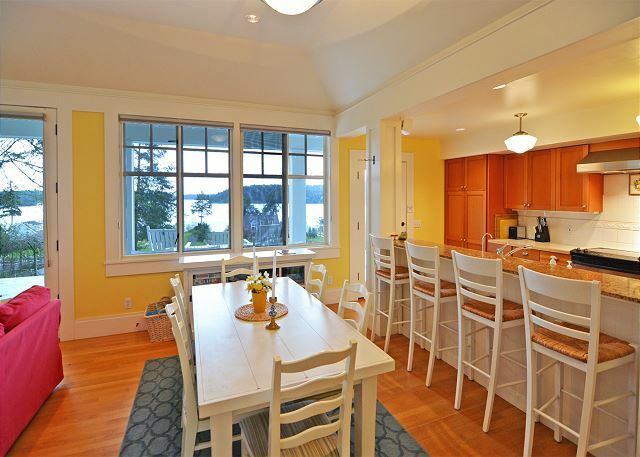 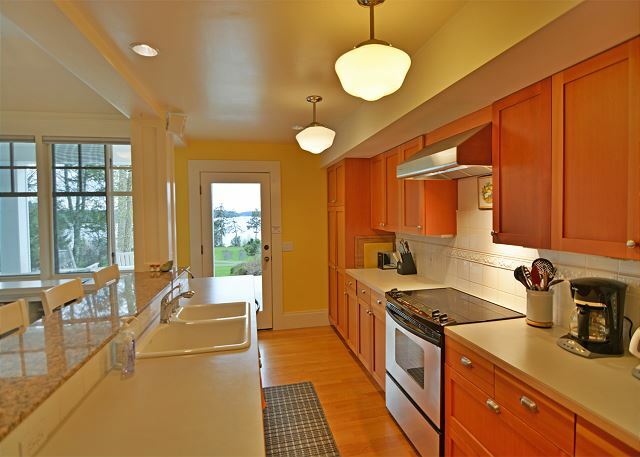 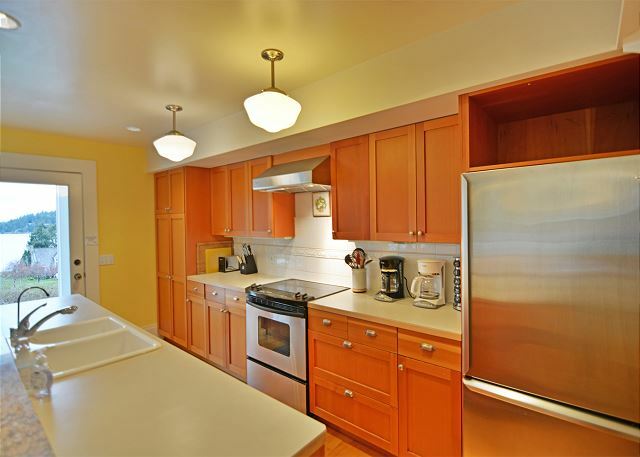 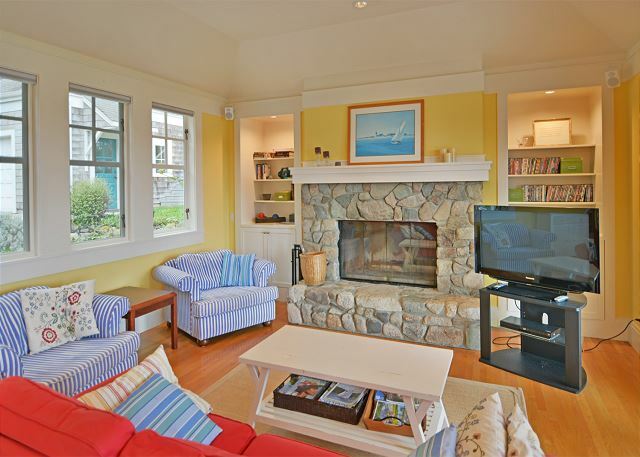 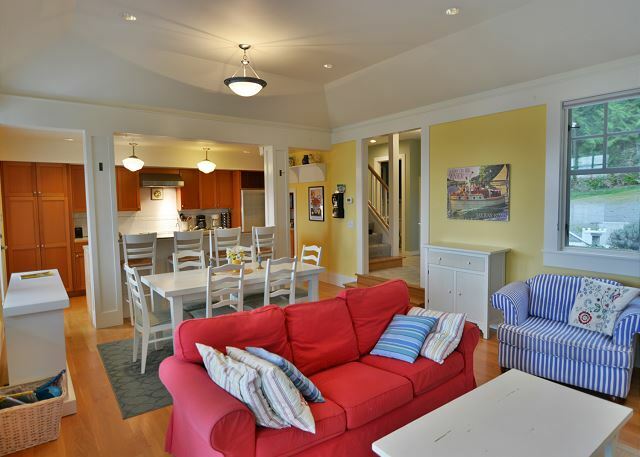 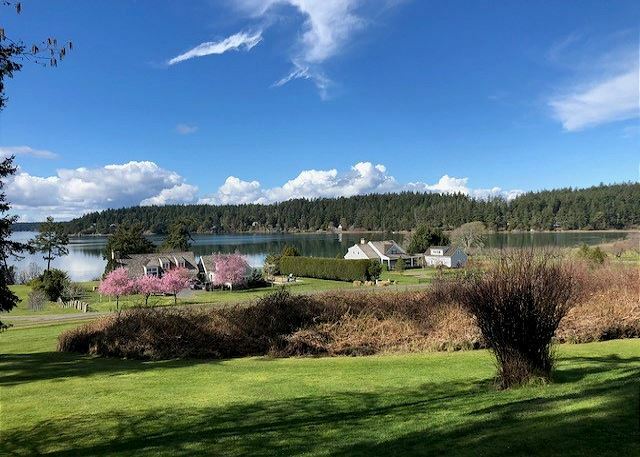 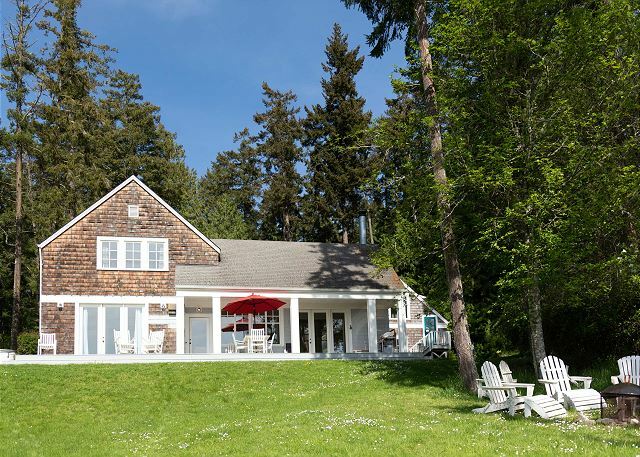 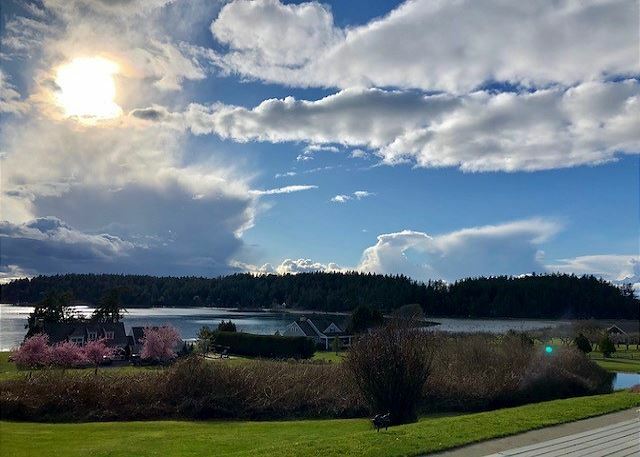 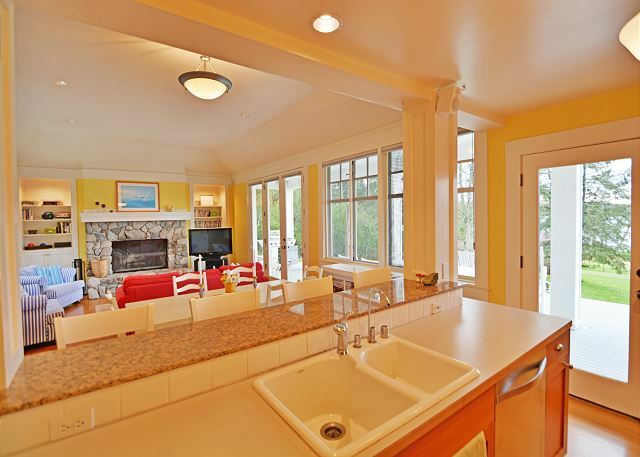 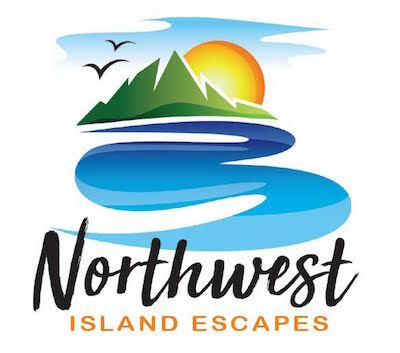 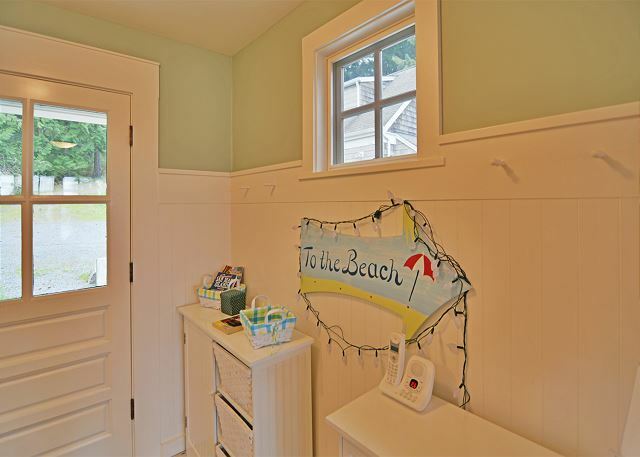 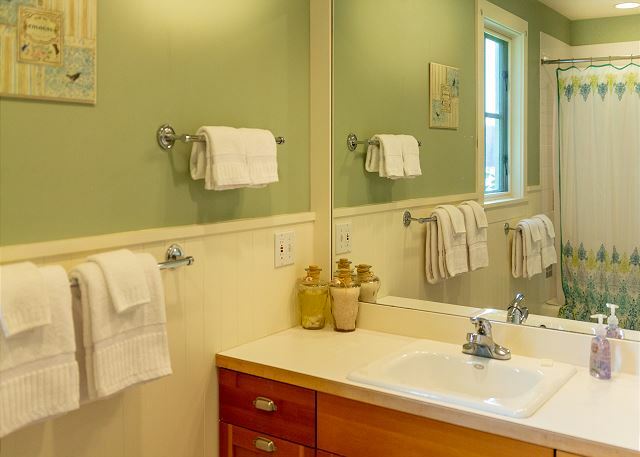 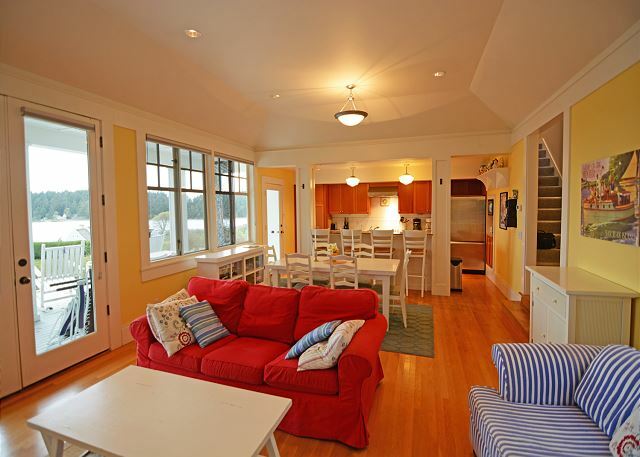 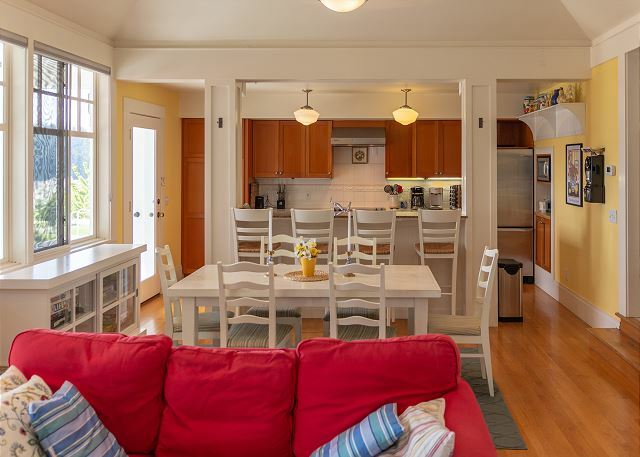 Become captivated by San Juan Island here at Westcott Bay Breeze!